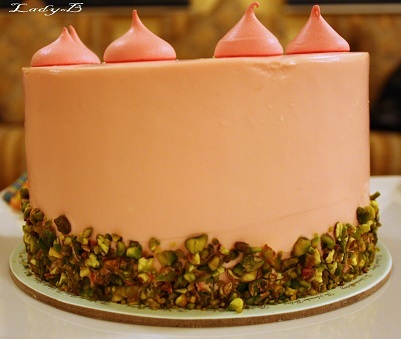 One of November's Bakery latest additions, Pistachio Rose cake..
Layers of vanilla rose & pistachio cake.. 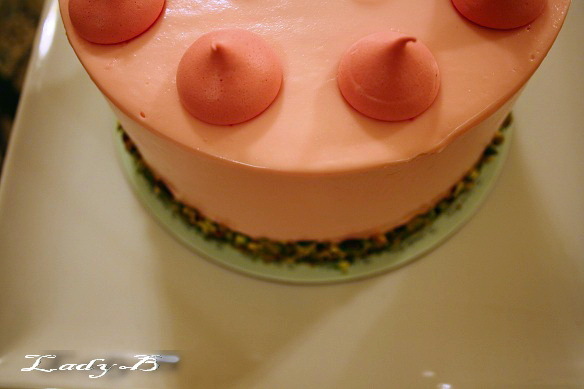 Decorated with rose water meringue kisses.. 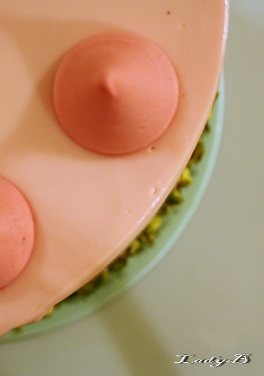 The cake by self is a masterpiece, gorgeous pastel colours..
To be honest, I wasn't that much impressed with the taste.. 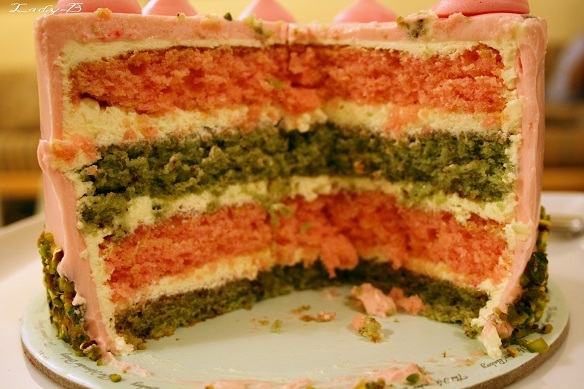 I couldn't taste the rose water in the cake at all, probably because the cream cheese frosting taste was a bit over powering .. The only real taste of rose water which you can sample in the meringue kisses..